Addition of Tomato with poori not only makes the poori very novel and colorful; it also makes the poori really very tasty. 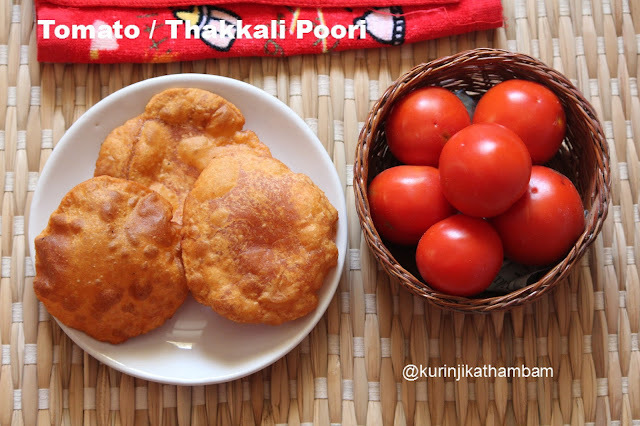 We can have the poori even without side-dish. So it is very useful when we are preparing food for travel. 1. Wash and cut the tomatoes into small pieces. 2. Grind them into a smooth paste using the mixie. 3. Strain the juice using the strainer. 4. 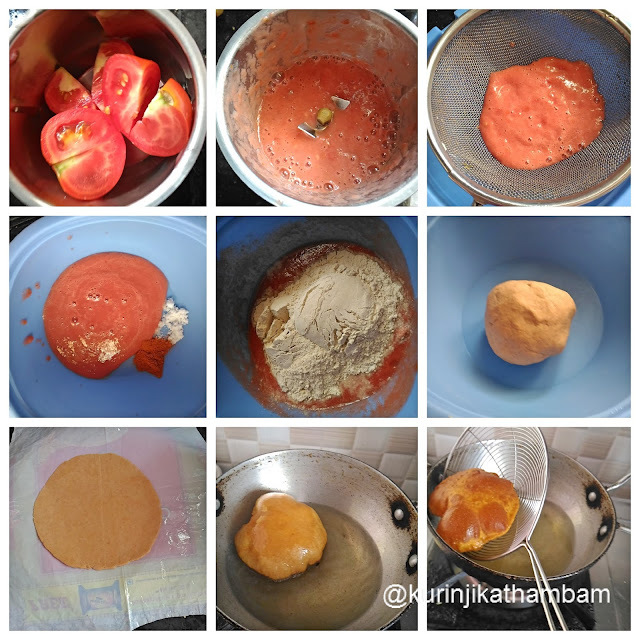 Add tomato juice (from 3), red chilli powder and salt. Mix them well. 5. Then add wheat flour and mix them well. Add water little by little and knead into soft and tight dough. Keep it aside for 5 mins. 7. Heat the oil in a pan and slide the puri. After few seconds, press it with the help of the ladle with the holes.